Every woman has seen other women wearing charm bracelets, and wanted one. Whether as a teenager or an adult I've always wanted one that had beautiful charms and sweet memories attached. Soufeel offers beautiful charms that are .925 Sterling Silver, and any charm with crystals come from the incredible Swarovski. I was given the opportunity to choose four charms, one memorable charm, and a basic bracelet. Upon arrival, I received a package with a gorgeous gift box, a gift bag, and I opened the box to find...nothing. The charms and bracelet were in separate little baggies and I have to admit that had me slightly disappointed. It made absolute perfect sense though! You don't want to risk these gorgeous pieces of jewelry getting lost in the mail and so this is in no way a knock to Soufeel but...the box was just so glamorous! The quality of the box with the black velvet lining really tells you that you're getting good, quality items. I chose (from right to left) the Embossed Flower Charm .925 Sterling Silver, the Pink Flowers Murano Glass Bead, the Crystal Heart .925 Sterling Silver Memorable Charm, the Two-Tone Sterling Silver & Rose Gold Butterfly Charm, and the Crystal Heart Purple Swarovski Stone Charm. Each charm represented something for me that I had to have. Whether it was family based (the image, the two butterflies to me representing my daughter and I, the flowers representing our family life blooming, etc) or just beautiful charms that I could not pass up I had the hardest time picking. When it came to the memorable charm, I wanted something special that I would remember forever. 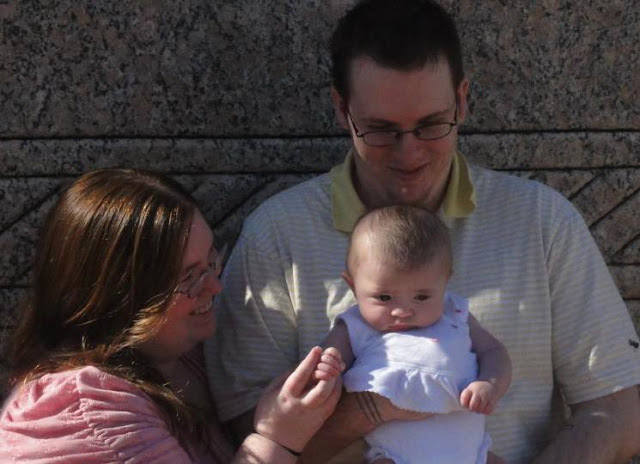 The image that you see is my husband and I holding our daughter who was no more than four or five months old (see below). The same day we took that photo, my mother and father in law who were no longer together were able to spend a great day talking and laughing and just enjoying themselves. One thing I noticed about the "memorable" charm is that the brighter the light is on it, the brighter the image is. But if you're indoors for example in a darker room the image does not appear to be that bright. I still think they did an incredible job with taking the image you see above, and placing it into such a small charm. I will always remember that day as such a happy one and now the charm will always show us as the "new parents" holding our sweet bundle of joy...though in the picture she sure does look tired! Another thing I absolutely love, is the Pink Flowers glass bead. Look at the detailing! The pink flowers just look gorgeous don't they? You can see clearly every pink petal, and every green leaf. Then look at the two-toned butterfly with its beautiful little stone in the center. I only wish I could've had some stoppers or whatever they are called. I'd love to be able to separate the beads along the bracelet. Otherwise it just looks a wee bit clunky them all hanging down. I may have to get some of those very soon. This is DEFINITELY a must have gift for anyone whether it be for Christmas, birthdays, graduations, Mother's Day, anything at all. Soufeel's offers a 365-day return & exchange which is great if you accidentally measure the bracelet length wrong, or you put your charms together and feel one just doesn't fit. Also, if you order and use code Review5 you get 5% off your orders! Go today and take a look! 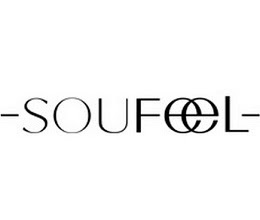 Soufeel has beautiful charms for every occasion and will make beautiful, memorable jewelry that will last you a lifetime.